The final stage of getting your consignment store prepared is to get all the necessary hardware you will need to efficiently run your business. This can be the most difficult aspect for a consignment user because not only does it involve a considerable investment, but most new owners are not already trained with consignment software, P.O.S systems or installing and maintaining the various printers you will need to print receipts, reports and labels. This can scare many owners into only using the bare minimum of services or deciding to do business by hand, and although this may seem like the best option in the short term it can hurt the long term success of your business. Running a consignment business efficiently by hand can be a very difficult task. It may able to be done properly in the first stages or your business or if you run a store with a small amount of inventory, but it limits your abilities when it gets time to expand your business. Every successful consignment business has had to update either their store front or business practices to stay competitive or to meet the growing needs of their customer base, so taking the time to get acquainted with all the hardware needed to run a streamlined consignment store is vital at the early stages of your business so you are not trying to catch up when business is booming. In this blog we are not going to review every hardware option available to you, instead we are going to review all of the hardware strategies you can use to run your unique consignment business. The first thing you will need to decide is where will be your main and secondary workstation, or if you are going to keep all of your hardware mobile. Many consignment stores still base their store design around a central register to complete all transaction, which is still a viable option, but new software and technology is allowing you to free yourself from having one central workstation. Consignment software is now available on laptops and tablets, and bluetooth enabled printers and scan guns mean you can offer all of the same services of a traditional register and workstation without having a giant mess of wires that makes your workstation a complete eyesore. Think of it this way; getting rid of a workstation means more room for merchandise. No matter what type of items you store sells, you are going to have to price and label every item on your sales floor. Handwriting labels is still common, but more and more consignment stores are shying away from the practice and turning to printing labels to keep a more organized and polished sales floor. Handwriting tags can take up most of an employee’s shift, keeping them from dealing with customers on any of the other crucial responsibilities they may have. Being able to type up an items price and description will not only decrease the time spent labeling, but also will help if a label is misplaced. You no longer have to search through your pricing log or try to remember what you priced an item for because it will already be on record. You would simply have to look up the item and print the new label saving you and your employees valuable time. This is probably the most stressful decision to make for a consignment store owner because the idea of learning a software program can easily overwhelm anyone and not only do you have to learn the software program, you have to teach new and future employees as well. This harps back to the argument we made earlier that just because it is easier in the short term, it may hurt you in the long run. 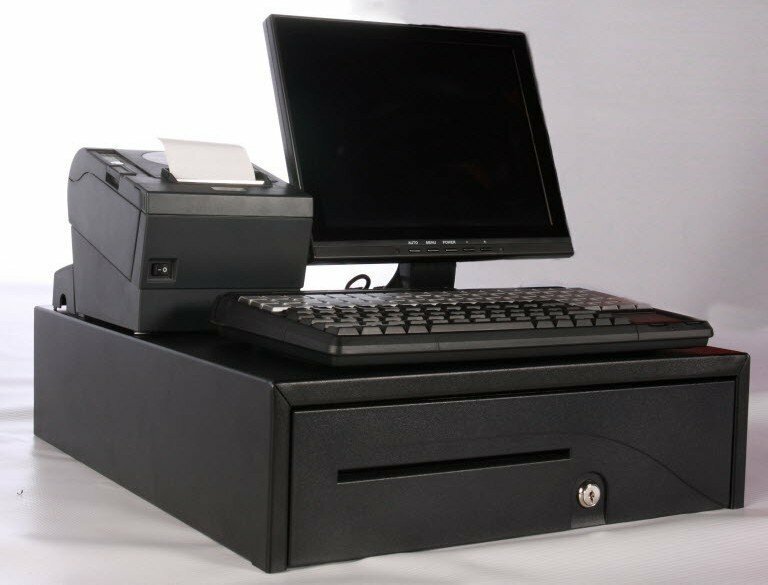 A cash register simplifies running a sale, but keeps you from applying any type of rewards system for loyal customers, keeping any type of inventory or consignor list, or create automated end of the day reports. A cash register may simplify a few aspects of your business, but it will hurt your overall organization and long term efficiency. Applying a consignment software solution to your business sets you up for being prepared for long successful career as a consignment store owner.